It won’t be wrong to say that the other name for show business is glam world. The celebrities who are a part of this glam world believe in looking after themselves and rely heavily on makeup. As a matter of fact make-up is a part of celebrities’ job because they are supposed to look good and presentable at all times. It surely looks nice on red carpets and award shows but when it comes to dramas and translating a character on-screen, the needs and demands are completely different. 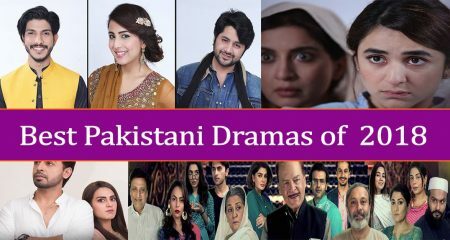 Quite often the characters in our dramas go through a lot of ordeals which actually requires the actors to look natural in order to make their condition seem more real and relatable but unfortunately, some of the actors totally believe in staying glammed up on-screen too even when the situation is not in the favor of their characters. 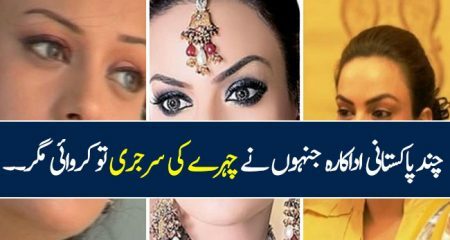 Yes, it is a fact that some of the makeup is a demand of the camera but at times we get to see make-up clad faces which end up becoming a distraction. A comparatively new, fresh and beautiful face; Ramsha Khan is definitely one such actor who relies so much on makeup that often seems ridiculous. In Mah e Tamam where the roof over Ramsha Khan’s character shattered, her heavy base, false lashes, sharp contour, gel liner and lipstick just did not budge. Even in the scenes where Ramsha Khan had to cry buckets, the gallons of setting spray kept her makeup intact. 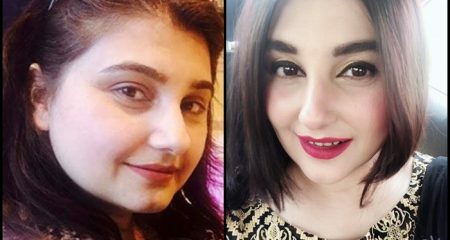 In drama serial Khud Parast, Ramsha Khan has definitely kept a light hand on makeup which lets her natural beauty come through but then again, she does seem a bit too made up. It is a done deal that she is fond of makeup but please someone do her a favor and find her a right shade and consistency for under-eye highlighter because it seems ridiculously yellow and ashy all the time. We really wanted Ayeza Khan to experiment with her looks more but we had never expected that someone like her, who is both talented and great looking will be seen going overboard to look good on screen. In Mohabbat Tumse Nafrat Hei Ayeza Khan’s make-up and her dressing was over the top. In Tau Dil Ka Kya Hua too she paid special attention to her outlook and there were times when it did seem like she was trying too hard. Now in her latest drama Koi Chand Rakh, she is seen wearing excessive make-up perhaps to look like the chand! Ayeza Khan is a natural beauty who needs to tone down on make-up and her reliance on make-up is quite unnecessary. This screenshot from Koi Chand Rukh shows her character attending a funeral of a near and dear one yet the face is overloaded with white foundation, pink blush on left right and center, baby pink lipstick and highlighting is pretty obvious too! Over the years Saboor Ali has definitely experimented with her looks and has given different faces to her characters but one thing has remained consistent and that is her heavy makeup. 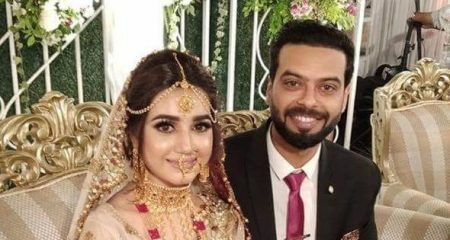 Recently in Visaal Saboor Ali’s character went through a lot of mental pressure but the wing of her eyeliner was in all its glory at all times. Saboor has definitely made some changes and has gone light handed on the foundation but she needs to cut down on the eye makeup too because in one of the scenes where she was not wearing thick black eyeliner, she looked 5 years younger and very pretty which she naturally is. Imran Abbas is a constant in this list every time it is made. What’s funny is that he never admits he uses makeup but the viewers are intelligent and have an amazing eyesight and all the more thanks to 1080p quality uploads on YouTube which give all of his secrets away. Foundation, Concealer, Eyeshadow, Eyebrow Pomade, Bronzer, Cheek Tint, Highlighter, Lipstick and at times Lip Gloss, you name it, you’ll find that makeup product on Imran Abbas’s face. 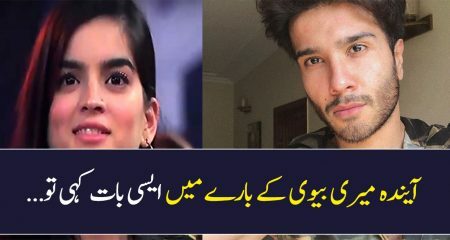 In dramas like Yaar-e-Bewafa and Noor-ul-Ain where his co-stars Sarah Khan and Sajjal Aly did not wear much makeup, Imran Abbas did the honors and wore makeup unke hissay ka bhi. In Koi Chand Rakh, the green-toned foundation from his kit (which should be thrown away) is making its appearance in all its glory these days as well. We don’t remember the last time we saw Mehwish Hayat on screen with minimal make-up. Mehwish Hayat relies a great deal on make-up and very often her makeovers just like many other actors in this list are the center of attention. Everything about her look right from her hair to the contouring on her jaw line is always picture perfect. Even when Mehwish Hayat was not that well groomed, she wore plenty of make-up and relies heavily on it. She has also mastered the art of wearing perfect subtle make-up which is always on in every scene. In this screenshot from Dillagi Anmol is getting ready to go to bed! Zara Noor Abbas has a very pretty face but the look that she goes for the mostly bechari characters that she plays is quite glam. In dramas like Khamoshi and Lamhay where Zara Noor Abbas’ characters went through a lot emotionally and everything was quite draining for her where the world left her on her mercy, quite amazingly her kajal and blush stood by her like a rock. Also, the huge puffy hairstyles Zara usually chooses by relying heavily on extensions add up so much screen age to her. Zara Noor Abbas can definitely do much better without so much makeup and she should let her natural beauty shine through. Agha Ali is one of those actors who at times pay more attention to their styling and make-up than their acting. 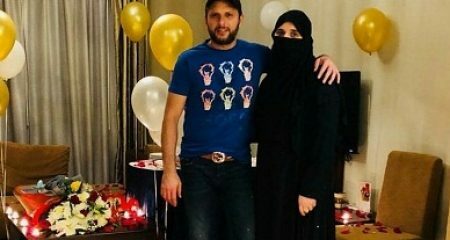 Even if he is seen playing the role of a man who has nothing going for him at all (Shahmir from Mere Bewafa) he makes sure that he looks like a knight in the shining armor. Agha’s hair is always gel backed in the perfect manner, his highlighting, eye make-up and the well shaped and dyed beard is also a constant part of all his looks. This guy looks the same no matter which role he is playing! Sohai Ali Abro has a cute face and her acting is pretty decent too but somehow she has always been seen on screen with the perfect make-up and her hairstyles are always on point too whether or not the situation demands so. It won’t be wrong to say that Sohai’s good looks tend to attract you more while watching her plays than her talent or the characters she is seen playing on-screen. In every play she is seen in a new look and that somehow is supposed to be the main attraction. Ever actor sports a different look in dramas but Sohai’s constant dependence on glamour and her perfect look from head to toe makes her look more like a model even in her acting projects. Even her accessories are very well selected and her hair is never out of place. While watching her on-screen is a visual treat but her over-reliance on make-up is also distracting. 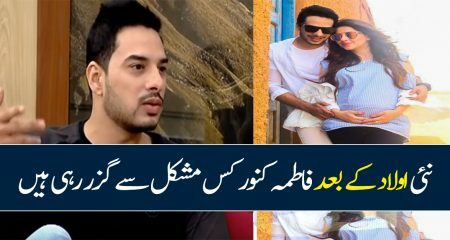 Zahid Ahmed broke all of his previous records in the drama serial Pukaar where there was so much makeup that distracted the viewers from his acting as they were too busy spotting the unflattering shades pasted on his face. 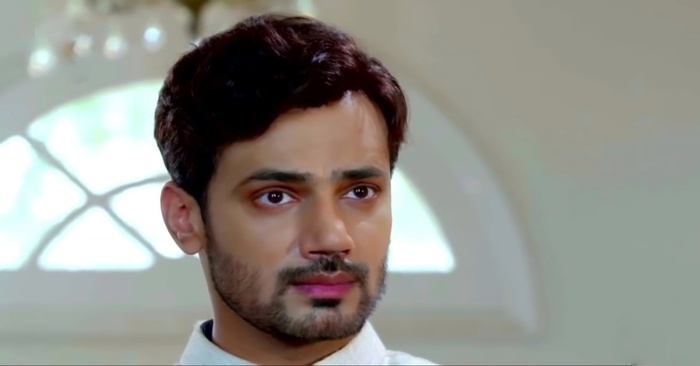 From orange eyeshadow to 5 shades lighter foundation and pink or purple lip tint really made it hard to understand why did Zahid Ahmed let makeup artists do that to him. Zahid Ahmed has never shied away from flaunting his dusky complexion so not sure what went wrong in Pukaar. In Visaal for the initial weeks Zahid Ahmed’s hideous choice of wig was the talk of the town too. Even though Iqra Aziz has really groomed and polished herself and she also makes very good makeup choices, it won’t be wrong to say that she relies heavily on makeup. Iqra Aziz has mostly done serious, emotional roles but her makeup is always on point, even in those scenes where she is crying buckets (which happens all the time). Heavy foundation, properly made up eyebrows and a heavy hand on cheek, nose & lip tint are Iqra’s go-to’s. It would be good if Iqra experiments with her hairstyle or makeup as she looks pretty much the same in all of her dramas. Aiman Khan is a natural beauty and we are also convinced that she is quite capable of being a good performer since she has been very convincing in few of the unconventional roles she has played in her career. 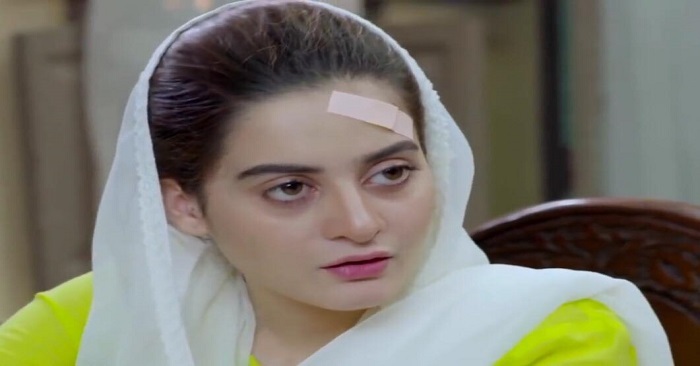 Unfortunately, not only is Aiman Khan stuck playing similar roles in dramas but the irony is that she looks her best even when her character is going through hell. Most characters she plays are constantly going through a turmoil yet Aiman Khan hardly ever looks the role. Aiman would look equally appealing with absolutely no make-up on yet she wears so much eye make-up that you tend to notice her eyes more than the stress her character is going through. Heavy contouring is also a constant part of Aiman’s looks. Aiman Khan also finds it difficult to compromise on the length of her heels, she wears platform heels but even when she is working in the house or walking to the doctor, the heels are always there! In this screenshot from bedardi her character was HIV+ and was going through a really rough time yet the pink glow (blush on), the highlighting on the nose and the eye make-up is subtle yet on point. Minal Khan is another natural beauty who needs absolutely no make-up yet she is seen wearing so much make-up in dramas that sometimes she looks twice her age! Heavy eye make-up with dark lipsticks is Minal Khan’s standard make-up look. Even if she is playing the role of a regular girl going through the worse period of her life on screen, there is absolutely no compromising on make-up. Her overall look in plays can easily pass as “formal” even in times when it should be strictly casual. In this screenshot from Ki Jaana Mein Kon her character was expressing how devastated she was to see the love of her life living a happy life with someone else. So this is basically another day in the life of this character while she is going through depression and agony yet the make-up is as loud as ever! Sarah Khan is one of our flawless beauties but it won’t be wrong to say that she is always a bit too made up too. 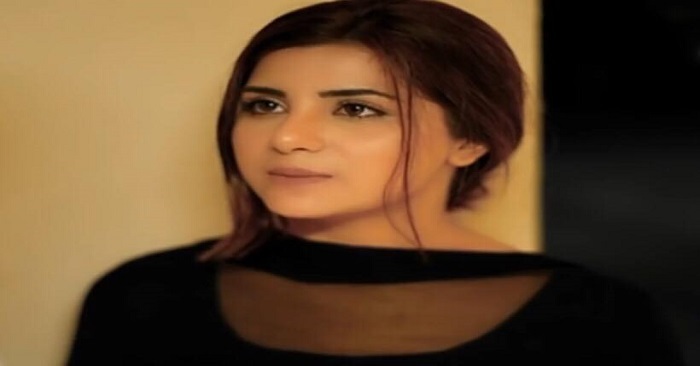 In Yaar e Bewafa Sarah Khan surely took the natural route because it was the demand of the character but other than that, even in those dramas where the world comes crumbling down on her, her loud makeup stays in place. There was a time when Sarah Khan was obsessed with bright neon pink/orange lips, but now even though her lip color choice may have changed and she may be gravitating towards more natural toned lipsticks, the rest of her makeup is pretty out-there and loud whereas she doesn’t need much as she is naturally very pretty. Asma Abbas is a versatile actor who has played a range of different characters over the years. For poorer or richer, in sickness and in health, she has vowed to wear as much makeup as she can. In recent dramas Koi Chand Rakh and Khud Parast, Asma Abbas is flaunting to be an ameer aunty therefore she has given her characters quite an OTT makeup look, but in drama serial Daldal where she was quite poor, her thick cakey base and eyebrow makeup was loud too. It’s a done deal that Asma Abbas does not believe in natural or no-makeup look. Faryal Mehmood has also joined the bandwagon in a brief span of time. Ever since she lost weight, she makes sure that she looks the best in all her dramas. Even when she is not wearing loud make-up, her overall look is always such that she looks her best on-screen. Whether her character is going through the most tormenting break-up or she has just learned the ugliest secret, her make-up is always on point. 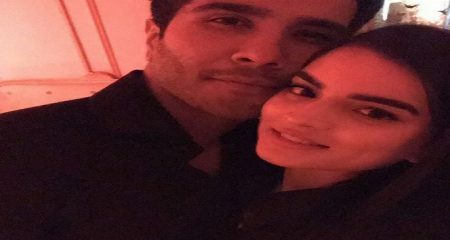 The viewers witnessed this in her recent dramas – Laal Ishq, Mohabbat Tumse Nafrat Hei and Baba Jani. Faryal Mehmood is convinced that apart from good acting, looking great in all situations is the key to success and we beg to differ! 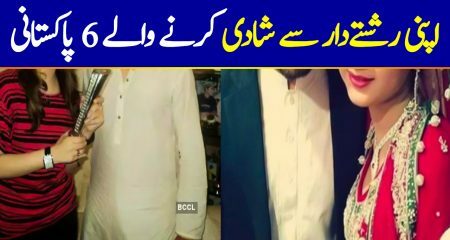 Azfar Rehman is one of those heroes in our industry who wear just as much make-up as their heroines but the only difference is that because they are men, their make-up is terribly off-putting. Azfar’s make-up artists always makes sure he wears enough lipstick to make his lips more conspicuous and his eye make-up is always as obvious as that of his heroines. Looking good is definitely a priority for him which is why we hardly ever see him on-screen without any make-up on. Mizna Waqas surely knows how to accentuate her features, from flawless thick base to even thicker eyeliner, heavy contouring, eyebrows, fake lashes, hair extensions, you name it, Mizna Waqas is wearing it. 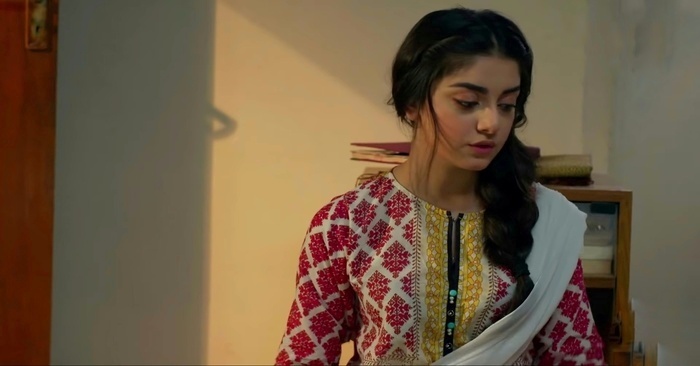 In drama serial Lamhay which is currently airing on Hum TV, Minza is seen bare faced which is a good change and a pleasant surprise seeing her steer away from makeup for a while but other than that, just recently in Tabeer where she came from a humble background, her makeup screamed totally opposite. Mizna Waqas always has a heavy-hand on the makeup and we are interested to see a more subtle/natural look on her. Sadia Khan is gorgeous, there is no disputing that but she also relies on make-up more than is necessary. Even if her character is such that there is no room for wearing trendy make-up, she is still seen wearing it. Sadia Khan makes sure she looks trendy and pretty no matter what role she plays. For instance in this screenshot from drama serial Shayad, her character was going through the most terrible period of her life and had taken refuge in someone’s house yet her make-up made her look as fresh and stylish as ever! Sami Khan is a phenomenal actor who gives every role he plays his best but his make-up is almost always overdone. His heavy reliance on lipstick and eye shades in particular makes him one of those actors who find it difficult to appear on screen without any make-up. A performer like him who is also pleasant looking does not need to rely so much on make-up. 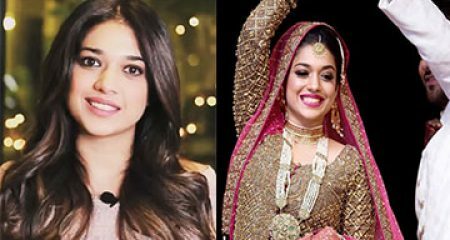 Sonya Hussyn has definitely upped her game when it comes to choosing the kind of role she has been playing but her reliance on make-up has definitely not taken a back seat. 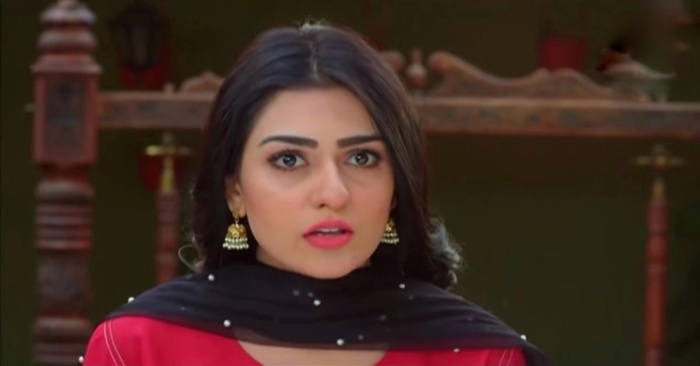 In her recent dramas even when her characters were going through the worst any character in Pakistani drama has ever gone through, Sonya Hussyn’s make-up was always in place. Nadia Khan has just started acting again and she made sure that she was part of projects which highlighted some important issues. 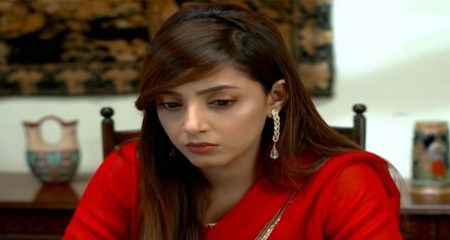 Unfortunately, Nadia Khan killed the impact her characters could have had because of her weak acting as well as her over reliance on make-up. Her characters this year went through some really tough times but Nadia Khan did not compromise on her make-up and styling even in a single scene. The fact that she is not comfortable with tying her hair has also been a little too obvious in all her dramas. Bushra Ansari is another brilliant actress who has lately started relying excessively on make-up as well as glamour. Sometimes it seems like wearing make-up and looking the role comes before everything else. She also makes sure that she works in projects in which she can wear as much make-up as she wants and clad as many sarees as she wills! Sana Fakhar mesmerized the viewers with her superb acting skills in many quality projects this year but she is also one of those actresses who tend to sport a caked up make-up look even if the role she is playing does not require doing so. Her make-up, styling and accessories are always more than the requirement of the roles she plays. Alizeh Shah is a beautiful new face of our industry and she has gained a lot of popularity in such a short span of time because of her looks as well as convincing acting however, the overly made-up look that she goes for doesn’t do justice to her age. Alizeh Shah has been seen in Ishq Tamasha and Dil Mom Ka Diya, where she has more or less played the same character but the heavy makeup that she chose seemed unnecessary as she can carry herself really well even in very little makeup. She has big eyes so even if she puts an extra effort, it gives her a very made-up look which at times does not suit her character. Yashma Gill is new in the business but her over dependence on make-up is already evident from the looks she carried in all the dramas she has been a part of till now. Yashma Gill has experimented with more hairstyles than she has with the kind of characters she has played. Her tacky fashion sense also makes her stand out for all the wrong reasons. 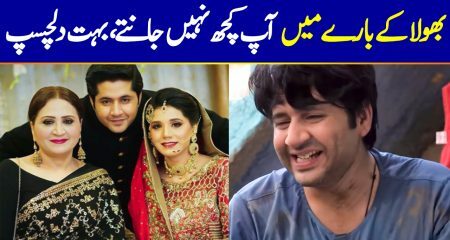 Saad Qureshi is another new actor who already has already been seen in many dramas. Saad Qureshi pays special attention to his make-up and styling. He has worn everything from eye make-up to kajal in different dramas and we have yet to see him in a look which is not overdone. Do share your thoughts about the actors in the list and don’t forget to add more names. We would love to hear from you!